In honor of Women’s History Month, what better time to celebrate the millions of women who are so vital to our food system? Globally, women make up half of the agricultural workforce, and more than 700,000 women work in the fields in the United States. According to the latest Ag Census, women are 30 percent of farm operators, making them one of the fastest growing groups of farmers. 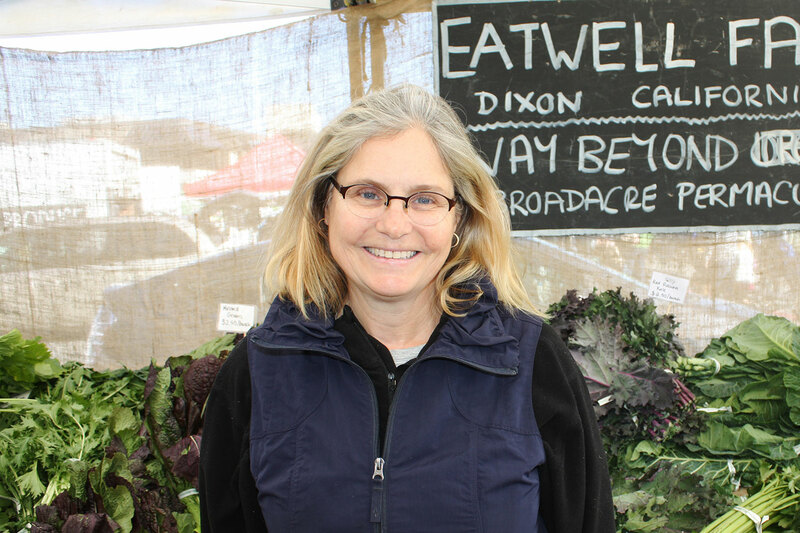 Cofounder of Allstar Organics in Marin, Janet Brown has been farming organic vegetables and creating unique farm products for the last 20 years. She has also actively worked to support farmers, food access, and healthy communities in Marin County through her work as part of the Marin Food Policy Council, Marin Organic, and the Center for Ecoliteracy. Saturdays, Ferry Plaza Farmers Market. 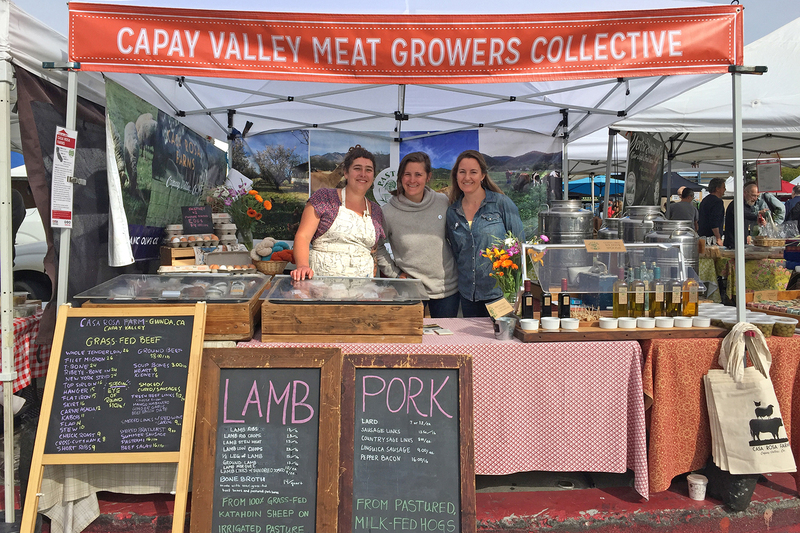 Rachel de Rosa of Casa Rosa Farms and Susan Muller Pasture 42 have teamed up to offer their pasture-raised meats, olive oil, vinegar, soaps, and wools, all sourced from their Capay Valley farms. Both the da Rosas and the Mullers come from families that have been farming in the Central Valley for generations. The farmers share a commitment to raising pastured animals. “There’s very little you can mechanize when you’re caring for animals; there’s no substitute for a human being,” says Rachel. Saturdays, Ferry Plaza Farmers Market. One of the Ferry Plaza Farmers Market founding farms, Eatwell Farm grows a wide variety of fruits and vegetables, and sells many specialty products made from the lavender and other herbs they grow. The farm also sells pasture-raised eggs. Eatwell also operates a sizable community supported agriculture (CSA) program. The founding farmer, Nigel Walker, passed away in 2017, but his wife, Lorraine, and the Eatwell family carry on the Eatwell legacy. Saturdays, Ferry Plaza Farmers Market. Having previously worked at County Line Harvest, Moira Kuhn now farms at Marin Roots Farm in Petaluma with her husband, Jesse. She has helped build the farm’s restaurant clientele, while innovating and helping to develop the farm’s niche with specialty crops like edible flowers. Why does she love farming? “I love the challenge, and I love that farming is all-consuming. It’s your entire life.” Saturdays, Ferry Plaza Farmers Market. Robin and Nancy Gammons began farming in Aromas in the 1970s, and they named their farm after their four daughters: Lucy, Jill, Dusty, and Prema. One of their four daughters, Jill, is now following in her parents’ footsteps and has begun a flower-growing project of her own on the farm. The Gammons’ approach to farming has always been organic and ecological, and they have a strong commitment to maintaining a natural, healthy ecosystem on their property. Saturdays, Ferry Plaza Farmers Market. Farmer-herbalists Finn and Lauren of Steadfast Herbs support folks in taking care of themselves and each other through handmade tinctures, teas, and salves. They cultivate their own organic herbs at Root Down Farm in Pescadero, and source other organic and local materials as often as possible. 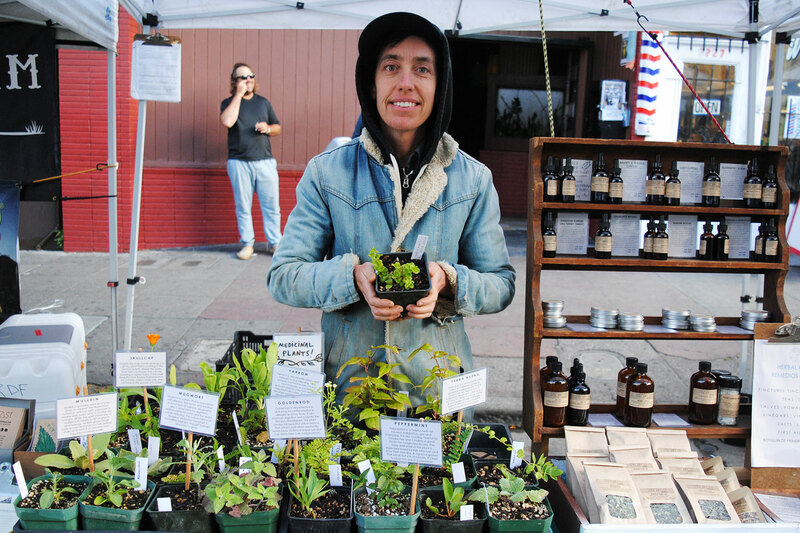 Saturdays, Ferry Plaza Farmers Market, and Thursdays, Mission Community Market. This article was updated from a previously published version.